Type: Sativa dominant. I’m guessing 80/20 or higher. Looks: Extremely dense stiff nugs. Lime green buds with orange hairs. The crystalization is nice as well. Very good coverage. 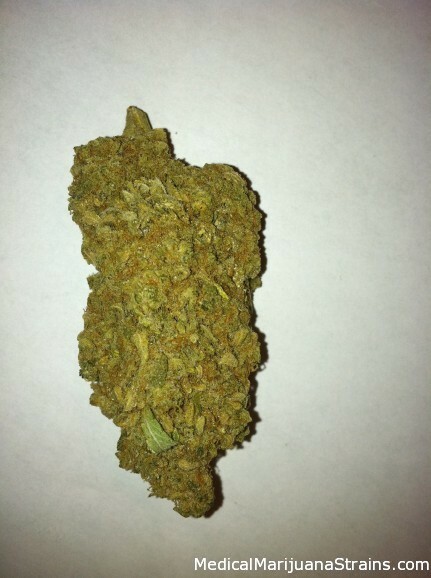 Good Strain For: Nausea, depression, medium-sized headaches/pain. It’s a sativa, so pretty much everything.